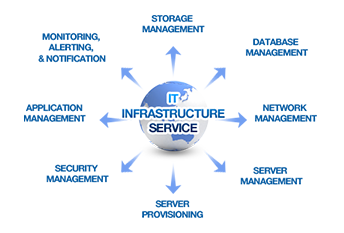 Our services are rightly backed by our in-depth domain knowledge, technical competence and process maturity. The end objective of our offerings are to enable you do your business better. Calmove is specialized in development of custom solutions in software development, Internet /Intranet applications and consulting services. With a group of experienced professionals, analysts and domain experts, we thoroughly analyze your business needs, industry and product requirements and deliver tailor made scalable and robust solutions. We follow proven practices that allow for successful project completion, and deliver solutions that exceed customer expectations. We have experience working with broad range of customers, from individuals to large groups. We work closely with the clients to understand their business objectives, define their software requirements, write specifications by involving our experienced business analyst and subject matter expert, design, architect, develop, test and integrate the custom software across multiple other systems and platforms including internet, cloud and disparate systems enabling the system to function and optimally operate seamlessly for our clients. In Calmove, the relationship and cooperation between our developers and our clients is given due recognition. The negotiation process itself is viewed as a means of achieving and maintaining a viable relationship. We believe in putting our main strength of application development to optimum use. Our philosophy promotes recognition of people as the primary drivers of project success coupled with effectiveness and adaptability in our work methods. Our gift is inspiration and imagination. We work with you to develop and enhance your vision thereby creating an impression that captivates your audience. Our sense of style and creativity will form an identity and brand that matches your product and aspirations. We can make a website more interactive by offering multimedia enhancements like online messaging and conferencing services, bulletin boards, searchable databases, content management, online learning tools and courses, product catalogues and a lot more. We can develop an application from the ground up, providing you with exactly what you need, not just what we have available. Calmove provides a full range of highly professional, yet affordable web design and development services. Our core expertise is fast custom implementation of the feature rich websites with strong functional component and administration backend. We are in business for more than 4 years and deliver web solutions that look great and work even better on daily basis. Our specialist will go the extra mile to make sure that your website will perform at the highest standard and will meet the needs of your business. Custom websites can be implemented using various technologies (HTML, ASP, JSP) and can be hosted either by us or the hosting company of your choice because sites are implemented based on the existing software (unless you prefer completely custom development), we produce them better, faster, and cheaper than competititors. All our sites have professional custom design. Our top-notch web development team will deliver a great looking, efficiently working website you will be proud of. Both business and consumer demand innovative out of the box mobile applications that provide sophisticated user experience. Our mobile apps are reliable, affordable and on time. Our pool of highly skilled developers enable us to ramp up quickly and deliver results on time and within budget. Our data warehousing platform delivers business insights across a wide range of activities, from optimizing customer experiences to increasing operational efficiencyCalmove's high-performance and optimized solutions provide in-database advanced analytics, enhanced datasets from big data, and industry-specific insights to drive increased innovation, profitability, and competitive advantage. We offer IT consultancy at many levels ranging from simple advice to the design and implementation of a complete system. Our IT Consultancy service is designed to be flexible so we can adapt to the individual needs of your company. Combined with our other services, we can create a package, tailored to your needs. By offering simple yet effective advice we can guide you through the various stages of a technology-related project in easy to understand terms.We also provide practical assessments of your current technology, identify opportunities for improvement and help you to achieve more with technology. Feasibility study for a project. Development of application and adoption of approach. In-depth analysis of the client and resources requirements. Research and evaluation of software and IT products. "We offered IT consultancy services to the following clients:"
Our HR consulting services helps our customers to build systems and processes to acquire, engage and develop their human capital. It is about discovering the right talent at the right time, capable of staying engaged to your organization and building enduring relationships, with all stakeholders – the Talent-sourcing Organization and the Job seeking professional. "We offered HR consultancy services to the following clients:"
eduCalmove is the training arm of Calmove Technologies.One of the guiding philosophies of Calmove is to identify raw talents ,train and groom those young minds and leverage their intellectual capabilities to develop applications and services that adds value to the clients .This process have lead to the evolution of a highly effective grooming process. This training process includes innovatively designed training modules which are initially developed to groom Calmove's software development team.The high productivity and competency of 'Team Calmove' can be attributed to these highly effective training modules. eduCalmove as a training arm of Calmove Technologies was started with the intention of offering these training modules to those aspiring students who want to build a career in IT.The training packages that Educalmove is offering are developed based on the experience and expertise of senior Calmovians. They are aimed at developing both technical and the soft skills of the trainees so that they can be groomed into well rounded competent resources. At the end of the training program we provide placement assistance for eligible trainees also. eduCalmove offers training at three levels : One level focuses on training and grooming the inhouse Calmove team.It includes imparting the technical skills,domain knowledge and process orientation to the the newly inducted members and to the existing team members on a periodic basis as required by the company. At this level great emphasis is given to orient the team members about the the importance of aligning oneself with the culture of Calmove. Calmove Technologies offers high-value professional consulting solutions that help clients attain their business goals. An efficient and high quality service is delivered to clients by leveraging our extensive healthcare technology expertise and industry specific knowledge. Our medical coding specialists rely on their knowledge of medical terminology, diseases and medications to assign a diagnostic or procedural code to each entry in a patient’s record. To choose the most appropriate codes, these specialists review the patient’s history and test results, and at times, talk to the patient’s doctor to uncover missing information. Medical coding specialists perform an all-important function within the healthcare industry. Thanks to their knowledge and expertise, care is synchronized, bills are paid, and the gears of the healthcare industry remain turning. By maintaining complete and accurate records of all care, our medical coders contribute to efficient record processing on several fronts. Doctors and hospitals use code data to track their performance and prevent fraud and error that could harm patients. Insurance companies, Medicare and Medicaid all rely on coding to calculate their reimbursements to providers. This same data even helps government agencies track and combat public health threats like obesity, tobacco use and contagious diseases. © 2018. Calmove Technologies Pvt.Ltd. All right reserved.